If you think about it, 67 years is not such long a time. Sometimes it takes the post office 67 years to deliver a letter. Sometimes it takes 67 years to become an Eagle Scout. Presidents Bill Clinton and George W. Bush were both born in 1946 – 67 years ago. So were pitchers Bill (Spaceman) Lee and Catfish Hunter. (And, why aren’t player nicknames as good as those anymore?) So were Bobby Bonds and Rollie Fingers. It was 67 not-so-long years ago that Jackie Robinson broke the color barrier by playing a racially integrated, professional game. He did it during Spring Training, on Sunday, March 17, 1946, at City Island Park in Daytona Beach, Florida as a member of the Class AAA Montreal Royals, a Dodgers farm-team. One of the reasons is that baseball so perfectly seems to mirror the tenor of the times. It’s an opening to history and reflects us as a society and as a culture. Many historians believe that the modern era of civil rights began with the integration of major league baseball. And, so we come to Jackie Robinson and Daytona Beach, the only place in 1946 Florida that would allow a colored man to play in a white man’s game on a white man’s field. Jacksonville, Florida said no. DeLand, Florida said no. In Sanford, Florida, the police chief came onto the field during a Royals game and demanded that Robinson leave the game. But, after persistent pressure by Dodger executives, Daytona Beach said yes. 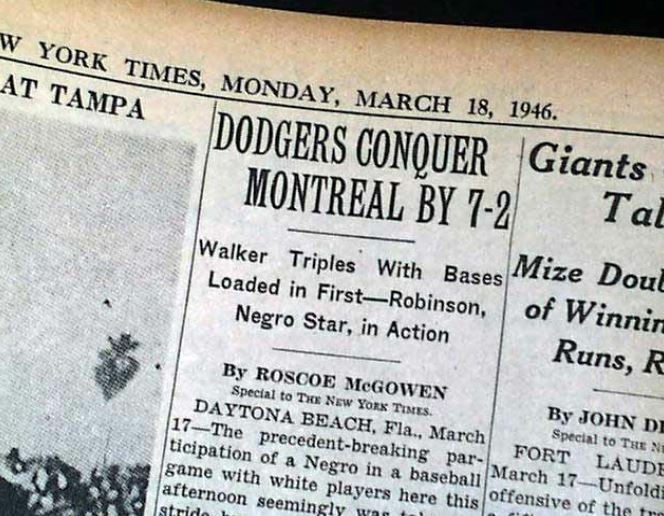 And, on March 17, Robinson, a black man, and his white Royals teammates, played an exhibition game against their parent team, the Dodgers. For the first time, a racially integrated team played professional ball. But, if you think segregation and equality was well on its way that day, consider this. The baseball diamond that day was integrated. The stands were still firmly segregated – more than 1,000 black fans reportedly crowded into the “Jim Crow” bleachers, far removed from the white fans who were spread throughout the rest of the park. Brooklyn beat the minor league Royals that day 7-2. Batting sixth and playing second base, Robinson went 0-for-3, stole a base, and scored one of Montreal’s two runs. Robinson was called up to the Dodgers the following spring. He played his first game, in the first integrated major league game, at Ebbets Field in Brooklyn on April 15, 1947. But, Florida remained, at its core, deeply segregated. Black and white players continued to live in separate accommodations during Spring Training. Black players were unable to join their teammates at restaurants. Dodgers owner Branch Rickey decided if Florida wouldn’t desegregate, he would do it himself. He found an abandoned Naval base in Vero Beach, Florida and in 1948 it became Dodgertown. The barracks were turned into dormitory housing and dining halls for the team. Fully integrated. Dodgertown also included a “fan-friendly” ballpark, practice fields and training facilities, a fishing hole, orange grove, golf course, barber shop, and even a post office. Most important, it allowed the Dodgers’ black and white players to live and work together. No, 67 years isn’t that long ago. Segregation is very fresh history. 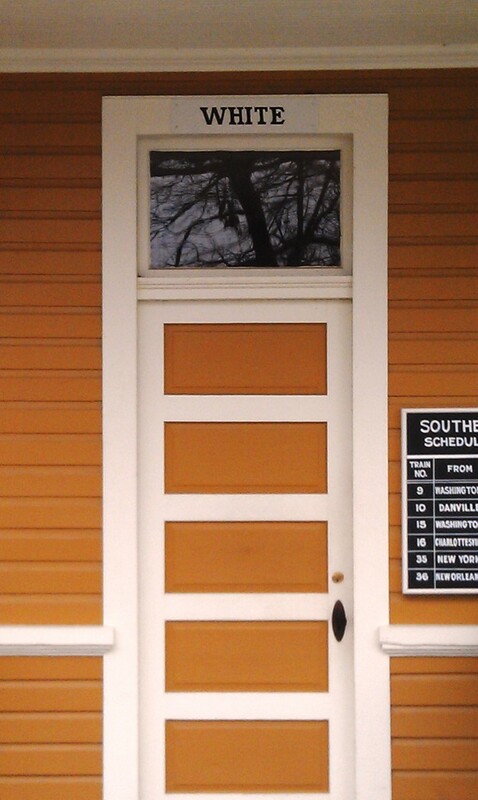 I t only took a few minutes to find a building near me that still has its “white” and “colored” separate entrances. It had been a train station for Montpelier Station, Virginia, complete with separate entrances and waiting areas. 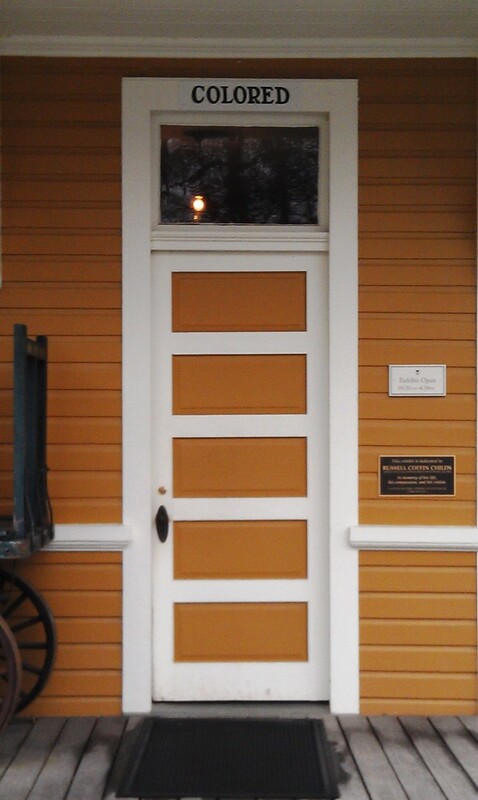 The “white” and “colored” entry signs were painted over eventually, and when the station closed, the building was refashioned into a post office. In 2010, it was renovated and turned into a historical site (thanks in part to the efforts of both my husband/editor) as a reminder that America’s segregated past was not so long ago. Because a simple sport can open our eyes to injustice and open the doors to equality, I deem Daytona Beach, Florida #3 on my list of the five most amazing Spring Training locations. #2 coming very soon (I have to get these done before the regular season begins!). City Island Park was renamed Jackie Robinson Park in 1990. 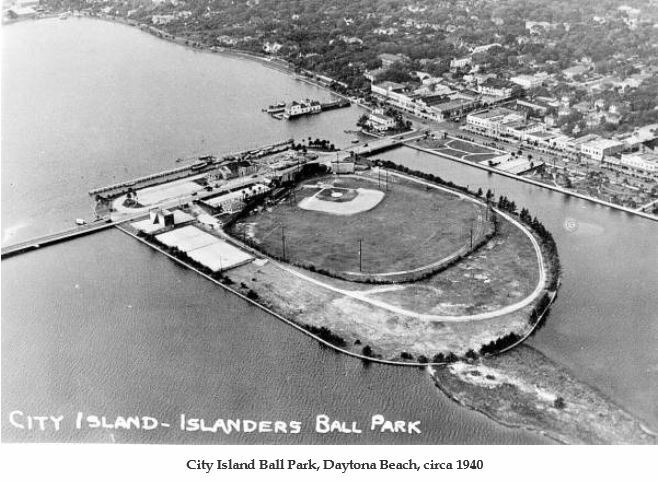 The Daytona Cubs (a Chicago Cubs farm team) and the Bethune-Cookman College Wildcats continue to use the park. In 1998, it was named to the National Register of Historic Places. 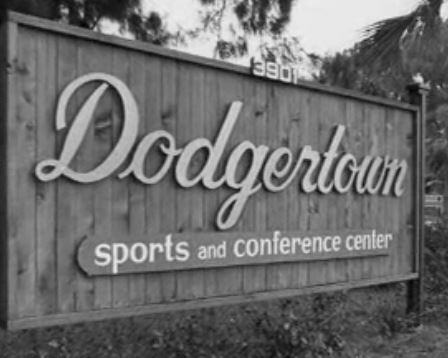 The Dodgers left Dodgertown for Arizona in 2008. But, Dodgertown survives. Today, it’s the Vero Beach Sports Village, and it hosts events, teams, and sports tournaments year-round. The SK Wyverns, a Korean baseball team, holds its Spring Training there annually. Jackie Robinson wore #42. When New York Yankees reliever Mariano Rivera (#42) retires (which he has announced he will do at the end of this season), the number will have been permanently retired by every major league team, in honor of Jackie Robinson. 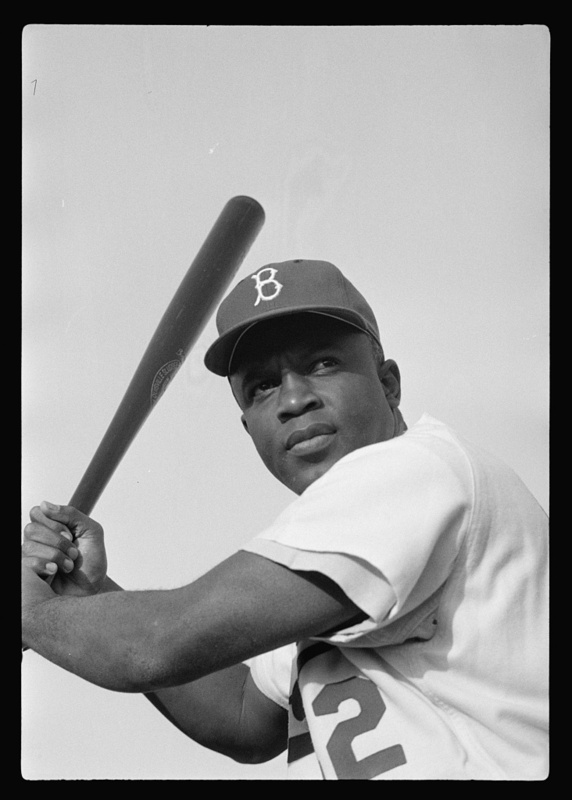 This entry was posted in Baseball, Baseball History and tagged civil rights, Ebbets Field, Jackie Robinson, LA Dodgers, spring training by Jackie, The Baseball Bloggess. Bookmark the permalink. Fine article, nicely researched. One thing though, Bobby Bonds isn’t in the Hall of Fame. Oh my … right you are! Thanks for the catch — I’ve corrected it. Not sure why I even wrote that. Maybe wishful thinking? (I do have a soft spot in my heart for the Giants.) Thank you again … I want to make sure the facts in my posts actually are! I’m beginning to see the attraction of baseball. Much food for thought. Keep it up. Thank you! It’s amazing the roads a baseball story will take you down. Thank you for reading! But, you can still go to Dodgertown, just to say you’ve seen it. And, you can catch the Korean team when they’re there. How cool and quirky would that be! I’m glad you liked the story … I may have a little Giants in my blood, but the Dodgers really did have a massive impact on baseball history. And, I love watching Clayton Kershaw pitch! Howdy! My father always told me “Baseball is like church. Many attend, few understand” and that’s the truth! Your father was quoting the legendary Leo Durocher … I bet your father was a Dodger’s fan! Thanks for stopping by!